The birthstone for Libra is the Opal. The Zodiac sign of Libra also responds to Peridot, Agate, Lapis Lazuli, Green Aventurine and Sapphire. The tradition of giving gifts of jewelry containing these stones dates back thousands of years. The gemstone, or birthstone Opal is believed to conduct the energies of the planet Venus with which it is sympathetic and that wearing jewelry containing the gemstone will focus the energies of the planet and sign through the gem. Libra people are intellectual and nice, and Libra birthstone have been identified for centuries. These Libra birthstones act as charm or lucky stone for Libra, mostly to help the Libra-born people face challenges and give them strength of purpose. Do you know the different Libra gemstones? Here is a list of lucky stones for Libra people. Since Libra is an airy sign that is related to mind, it basically symbolises an important turning point in nature that is the autumn equinox. So it is the golden orange fire of its birthstone Opal, which harbours the enormous power to foster motion and break up all forms of crystallisation in the physical, ethereal or astral facet of the body. The gemstone signifies the inevitable trial that the wearer needs to pass. And it is also important to note that here; the balance must be weighed with the deeds of the year. It symbolises the conquest of the lower separative self along with the unfolding of love that eventually leads to unity. Opal was the traditional birthstone for the month of October in the Ayurvedic or old Indian calendar, and was made the modern October birthstone in the Western calendar. This Libra birthstone was held to be a symbol of hope and purity by the Romans, and was thought to keep the wearer safe from illness. The luminous translucence of the Opal symbolises the fire of sacrifice. It represents a mission of mystical revelation that veers towards illumination. It helps the wearer connect to his higher self in order to reduce and eliminate the separation that exits between the physical self and the soul self. The warm orange tint of the stone actually signifies the positive qualities of energy, endurance, vitality and power. It aids the digestive system. The deeper reds of the stone provides energy to the sexual chakra; while the more golden shades renders a strong influence on the solar plexus and digestive organs. Have a quick Look at the unique properties of Opal. It helps in bringing out some significant positives that helps the Libra to lead a better life. It helps to cultivate hope and brings about a positive outlook in the approach towards life. 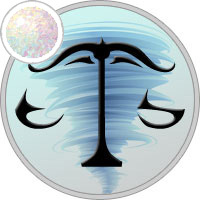 Opal helps to deal with the persistent indecisiveness and helps to instill confidence, thereby bringing about happiness, faithfulness and loyalty in the Libra. It enhances the innocence that is already there in the Libra. It helps to curb the situational deceitfulness and instill a peaceful purity. Problems with vision or eyesight. Opal also enhances or maximises the healing process that can be related to a host of other diseases. The gemstone also helps the wearer in developing his intuition which is actually important as the Libra is born under the air sign and thereby, constantly on the move. The gemstone helps the wearer in the building up of and development of his inner constitution as he requires it in order to effectively control his emotions and take decisions. This basically helps him in his relationships and also on the professional levels. Besides being identified specifically as Libra birthstone, peridot, also known by its old name chrysolite, was the traditional birthstone for September in the old Arabic, Hebrew, Italian and Russian calendar. This Libra gemstone occurs as beautiful transparent olive green stones. Peridot is said to enhance the potency of medicine, and reduce stress. This birthstone for Libra is also believed to protect its wearer from negativity, and is helpful for the Librans who, though not natively negative, are often intellectual enough to see the other side of the coin, and the constraints and challenges that their endeavors might entail. Agate is the talismanic stone for Libra. Talismans are amulets or other pieces of jewelry believed to give its wearer magical powers. Libra talisman is engraved on agate, which is a banded variety of chalcedony. Agate is believed to increase intelligence in a way that the Libra birthstone enables its wearer to see the truth, and at the same time keep the person calm and focused by helping him accept the circumstances. Lapis lazuli has been made the modern birthstone for the month of September in Britain. A relatively rare semi-precious stone, this Libra birthstone is prized for its intensely blue color. Like peridot, lapis lazuli relieves negative emotions, including fear and jealousy. This Libra stone is representative of the zodiac sign in that lapis lazuli is believed to stimulate awareness and creativity, helping to expand a person’s point of view. Green aventurine is a gemstone for Libra in Hindu astrology. This Libra birthstone is a green variety of quartz characterized by translucency. The Libra gemstone is believed to keep out negative emotions and strengthen will, giving the often indecisive Libra person a definiteness of purpose. Sapphire is the planetary stone of Venus, the ruling planet of Libra, and in this regard is deemed a Libra birthstone. This Libra gemstone is also the modern birthstone for the month of September in the Western calendar. Most famous for its deep blue color, the birthstone for Libra belongs to a group of minerals called corundum, and occurs in other hues except red, with which the mineral is called ruby. The Libra stone is believed to bring inner peace and spiritual enlightenment.